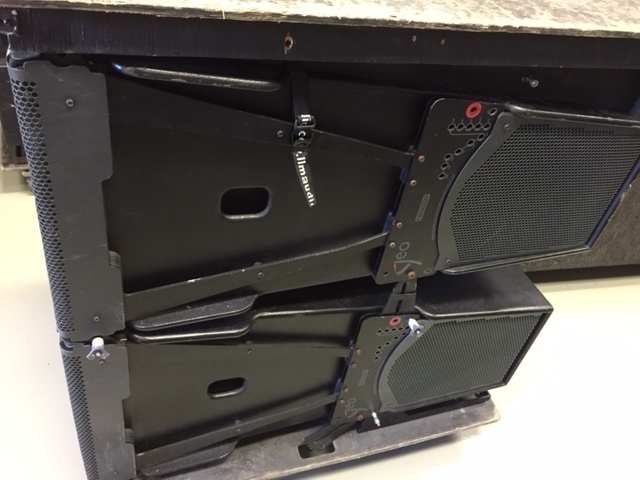 When flown, up to 16x deep, GEO SUB arrays provide a sub and subwoofer system for GEO D, GEO S or GEO T, effectively crossing over as high as 300Hz. With peak SPL of 139-142dB, GEO SUB’s front-loaded 18″ transducer integrates exceptional high power handling with an extended frequency range. 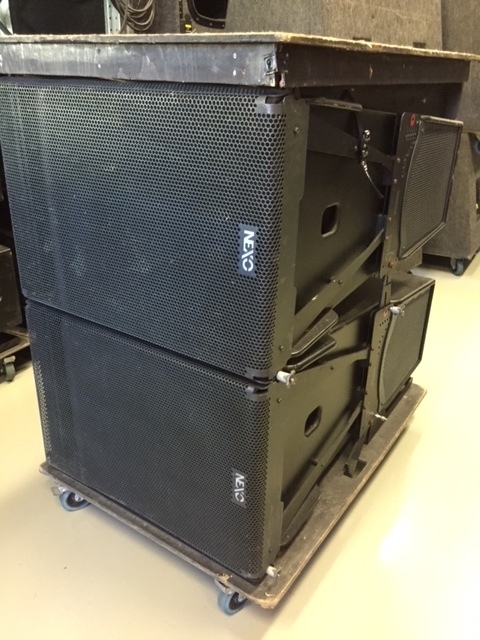 When stage stacked, the flexible GEO SUB deploys with GEO D10 as a cardioid subwoofer system, allowing end-users infinite scalability and system placement options, with subbass response down to 35Hz. Rooted in NEXO’s ongoing commitment to precise LF control, the unique GEO SUB design employs two side-firing 12″ speakers to create unrivalled, cardioid midbass and subbass coverage.